Salma bint Hizab al-Oteibi has become the first woman politician elected in Saudi Arabia. She has won a seat on a municipal council for the first time in the country, after the kingdom lifted its ban on women taking part in elections. Salma bint Hizab al-Oteibi won a seat in Mecca province in December 12 vote, the electoral commission said. The election was the first where women were allowed to vote and stand as candidates, and is being viewed as a landmark in the conservative kingdom. Saudi women still face many curbs in public life, including driving. A total of 978 women registered as candidates, alongside 5,938 men. Officials said about 130,000 women had registered to vote in yesterday’s poll, compared with 1.35 million men. The disparity was attributed by female voters to bureaucratic obstacles and a lack of transport, the AFP says. Female candidates were also not allowed to address male voters directly during campaigning. Turnout was high, state media reported. 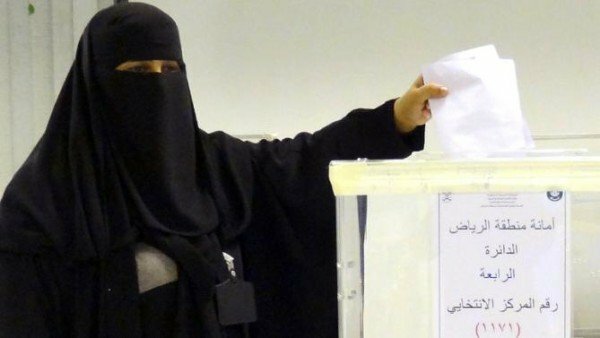 Salma bint Hizab al-Oteibi won a seat on the council in Madrakah in Mecca province, the president of the election commission, Osama al-Bar, told the official SPA news agency. She was running against seven men and two women, Osam al-Bar was quoted as saying. Elections of any kind are rare in the Saudi kingdom – December 12, 2015 was only the third time in history that Saudis had gone to the polls. Before he died in January, King Abdullah appointed 30 women to the country’s top advisory Shura Council. There were 2,100 council seats available in December 12 vote. An additional 1,050 seats are appointed with approval from the king.